Meet Beth Bowman! She is a Private Investigator in Coral Springs, Florida. She has an interesting array of friends and contacts, including the local police chief and the homeless community. When a homeless man is discovered beaten to death behind a park bench, Police Chief Elston calls in Beth to tell that he would like her and her homeless friends to stay out of the investigation for their own safety. A note left with the body says, "One step in the purification of our country. When we finish, we'll walk free without the garbage of society cluttering our paths." The chief believes that a radical group named FITE, Friends Intent on The Environment, could be responsible. When a FITE member is murdered and Beth's homeless friend, Dabba, is found at the scene and taken into custody, Beth is determined to save her friend from a murder charge? Determined to do so involves getting closer to the inner circle of FITE's leadership. Cloie Morales is the national face and spokesperson for FITE, a group funded by a wealthy older couple. 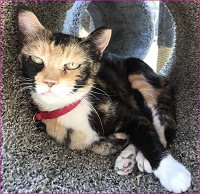 Cloie has selected Coral Springs as the starting point in her campaign to remove homeless people from public areas and placing them in camps. Can Beth and her boyfriend, Dr. David Rassmussen, stop her in time to save their friends from being eradicated from their homes? With her homeless friend as backup, Beth works to penetrate Cloie's group and find the actual murderer and murder weapon. This is a wonderful fast moving book. The writing is concise and sharp. The characters come to life with every spoken word. The Florida setting is well drawn and the homeless community and their background is well portrayed. The author has done an outstanding job in drawing us into a complex and intricately plotted murder mystery. His portrayal of the homeless and their situations is well done. This is the fourth book in this series, and I have read two of the three others. I feel that any mystery reader will really enjoy this riveting story of power mad people and causes. 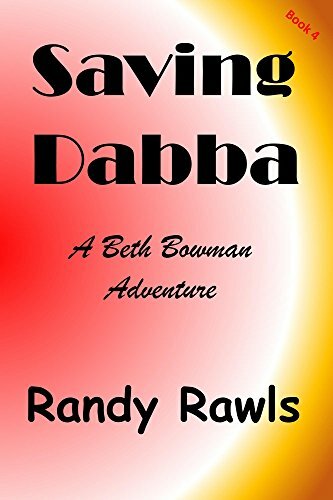 To enter to win a copy of Saving Dabba, simply email KRL at krlcontests@gmail[dot]com by replacing the [dot] with a period, and with the subject line "dabba,” or comment on this article. A winner will be chosen July 28, 2018. U.S. residents only. If entering via email please include your mailing address (so if you win we can get the book sent right out to you), and if via comment please include your email address. You can read our privacy statement here if you like. Have read the first couple in this good series, but not this one. Have also entered via email.